Huxtable Farm & its accommodation is situated within the South West foothills of Exmoor National Park and Eastern edge of North Devon’s Area of Outstanding Natural Beauty, in an ideal position to enjoy access to enchanting Exmoor with its breathtaking panoramic views and mysterious wooded valleys. Having lived here for over forty years we’d love to share with you some of the special places to visit on Exmoor. 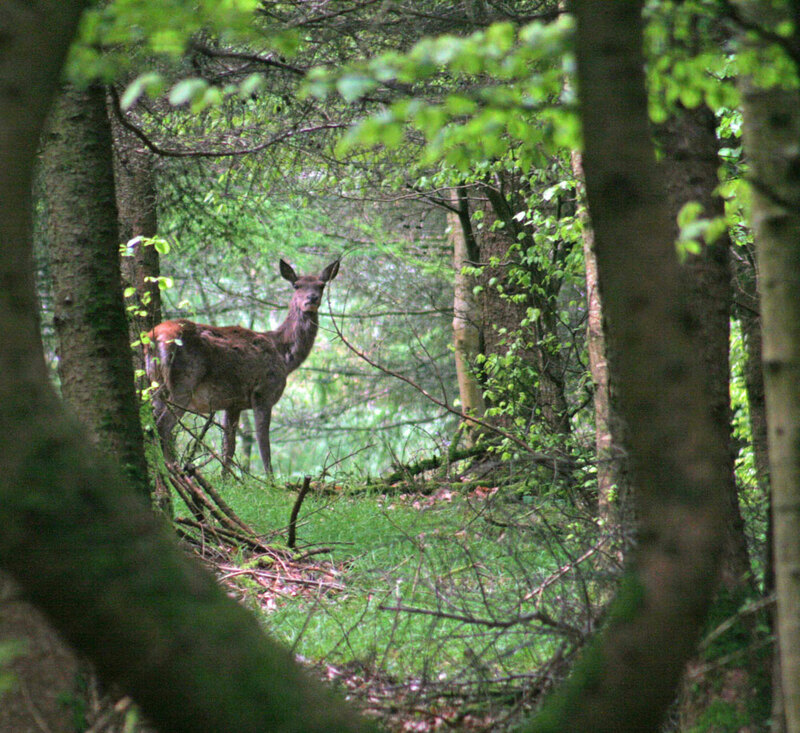 Exmoor National Park is a special place to escape to recognised as; a) One of the best locations for walking in Europe b) It’s dark skies full of stars (Europe’s first International Dark Sky Reserve) c) Road cycling good enough to host the Tour of Britain yet within its 267 square miles, covering parts of Devon & Somerset, you can find tranquility and peace as well as rediscover your sense of adventure. 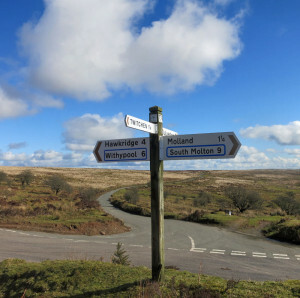 There is something for everyone on Exmoor from, cycling, walking, fishing, horse riding, exploring historic sites, enjoying good food to just taking in the view! Exmoor hosts an amazing variety of landscapes from glorious open heather topped spaces where you may catch a glimpse of the wild red deer or iconic Exmoor ponies (Britain’s oldest native horse), to spectacular coastal views from high cliffs (Valley of the Rocks near Lynton and Great Hangman hill near Coombe Martin) plunging into the Bristol Channel. 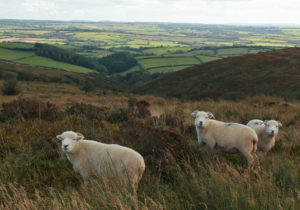 Farmland with the locally distinctive breeds such as Exmoor Horn sheep, deep wooded valleys and fast flowing streams. All supporting a great diversity of wildlife including rich lichen communities, rare butterflies, bats, and other species uncommon in southern Britain. Salmon still return from years at sea to travel up rivers such as the Exe and Barle to the same spawning grounds they hatched from. Enjoy delicious local food in historic, cozy, village pubs e.g. The Black Venus at Challacombe, Hunters Inn at Heddens Mouth, The Rock Inn at Brendon, The Jubilee Inn near West Anstey. 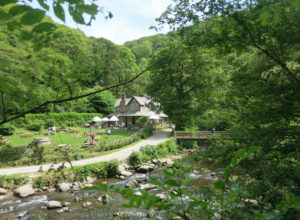 Visit;- National Trust Watersmeet where you can enjoy a delicious whortleberry cream tea (made with Exmoor whortleberries a species of wild blueberry only found on Exmoor) and woodland walks to Lynmouth along the East Lyn River. Explore Exmoor’s past with a history going back thousands of years; on high ground ancient standing stones and earth mounds or “barrows” from the Neolithic and Bronze ages (3000 to 700 BC) e.g. on Exmoor’s highest peak, Dunkery Hill (with 360 degree views) – Bronze age lay their dead to rest here in stone cairns (burial mound). Iron Age hill forts such as Bat’s Castle, near Dunster and Roman cliff top forts at Martinhoe and Old Burrow, built to keep a watch over the important seaways of the Bristol Channel. 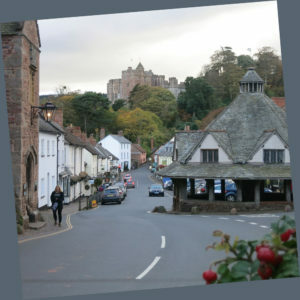 Dunster is probably the best preserved medieval village in England with National Trust property Dunster Castle or enjoy a woodland walk at Tarr Steps, a medieval clapper bridge on the river Barle. 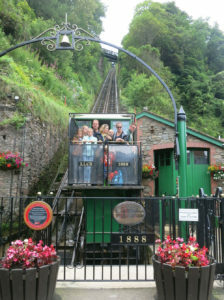 Enjoy a ride on Lynton and Lynmouth’s unique Victorian built water powered cliff railway connecting the two villages or West Somerset’s Steam Railway Minehead to Bishops Lydeard and Woody Bays narrow gauge steam railway or the recently preserved West Somerset Mineral Railway linking iron mines of Brendon Hills with the port of Watchet. Old lime kilns, for extracting iron, can be found a various locations on Exmoor too e.g. at Heddons Mouth & Watermeet. Exmoor has the longest wooded coastline in Britain. The Exmoor coast has the highest and lowest tides in Europe. 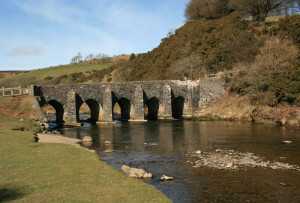 270 miles rivers & streams cutting the iconic valleys (coombes) running on Exmoor to the sea. Exmoor is home to England’s tallest tree, a Douglas fir near Dunster. 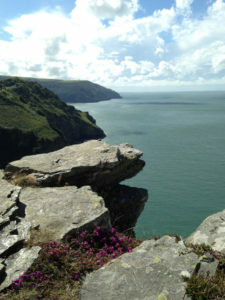 Exmoor has the highest sea cliffs on the British mainland. 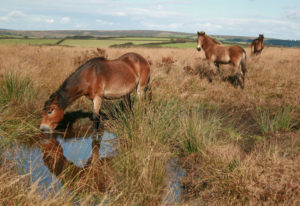 Exmoor ponies are Britain’s oldest native breed of horse. The Exmoor Coast is the most remote in England. Exmoor has plants that grow nowhere else in the world, including two species of whitebeam tree. 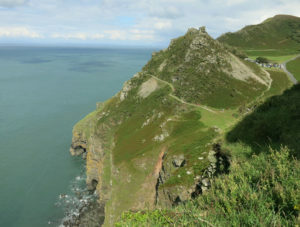 Britain’s longest footpath, The South West Coast Path, begins on the Exmoor coast. Beech trees grow at greater altitudes on Exmoor than anywhere else in Britain. Exmoor National Park has some of the darkest skies in the UK, and is a great location for stargazing. 71% of Exmoor National Park lies within Somerset and 29% within Devon. The highest point on Exmoor is Dunkery Beacon at 519m above sea level. Wimbleball Lake near Brompton Regis offers a great range of watersports and fishing as well as lakeside walks. 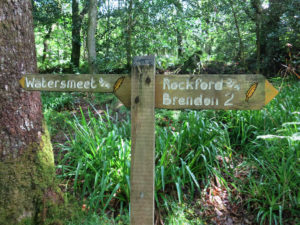 For more information on outdoor activities see www.activeexmoor.com.